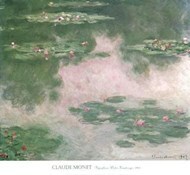 Nympheas art pieces are some of Claude Monet’s most popular works, created during the last 30 years of his life and set in his flower garden at Giverny. 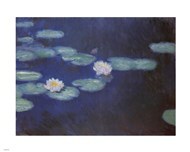 These talented impressionist works can make a tasteful addition to any fine art collection, and can be paired with a variety of home settings as an enhancement to the current decor. 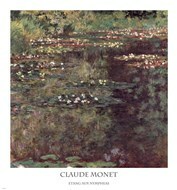 Art pieces in this category come in several different hues, making it rather easy to match them with just about any color scheme. 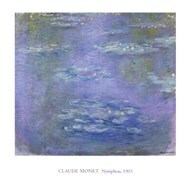 In a cold, modern environment with darker colors, Nympheas paintings like “Nympheas Effet du Soir”, with its mild yet powerful blues, will add tasteful accents to the room without overpowering its mood. 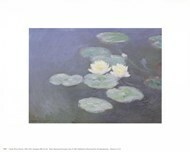 There are also a variety of bright and energetic Nympheas photographs in this category for display in a more colorful setting. 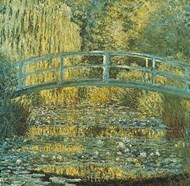 When used thematically, these fine art pieces can be a part of several different scenes. 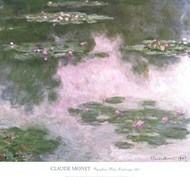 Nature-themed environments are a great place for Nympheas artwork, as these landscape paintings are excellent representations of the beauty of nature. 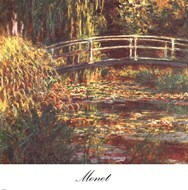 Collectors who enjoy impressionist works or are fans of the artist himself can also combine these paintings with others in the same category for a unique display. A room with rustic-themed decor can utilize these art pieces as well, adding natural landscapes that match up with its southern decor. 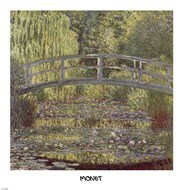 Monet’s water lily paintings are fine examples of impressionist artwork, as the surface of the water reflects light in a way that is quite appealing when properly depicted, and also creates a challenging subject for the artist.